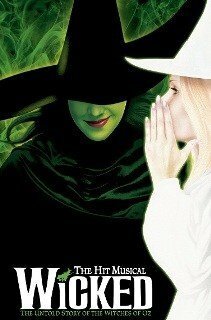 Wicked, the award-winning West End musical that tells the untold story of the Witches of Oz. Age Restrictions: Recommended for ages 7 and over (children under 4 not admitted). The Apollo Victoria Theatre was built as a ‘super-cinema’ and originally called the New Victoria Apollo Victoria Theatre London Cine-Variety Theatre when it opened on 15th October, 1930 showing the film ‘Old English’ and a stage show called ‘Hoop-La’. This fabulous art deco cinema was designed, as were all super-cinemas from that time, with facilities for stage shows that would precede the cinema films. Provincial Cinematograph (PCT) invited Ernest Walmsley Lewis to put forward plans to construct the cinema close to Victoria Station. The Apollo Victoria is a Grade 2 Listed building with a seating capacity of about 2350. With two frontages along busy roads, it is said that taxi drivers once called the theatre ‘Sing-Sing’. Since its opening, the theatre has experienced a number of highs and lows. The theatre is one of the leading West End theatres and has hosted many top shows including The Sound of Music with Petula Clark, Camelot with Richard Harris, and Fiddler on The Roof with Topol. In 1984 the theatre hosted Andrew Lloyd Webber’s Starlight Express, a show which required much building work to be done to the auditorium due to the show’s special effects. After eighteen brilliant and successful years the show concluded on 12th January, 2002. Since then the Apollo Victoria Theatre has undergone quite a lot of restoration, returning it to its former glory. Bombay Dreams opened on June 19th following previews from 31st May, 2002. The show ran until June 2004, when it transferred to the USA. Within three weeks Saturday Night Fever moved in to exhilarate the West End with its 70′s style music until 18th February, 2006. On March 28th, 2006 Billy Joel’s smash hit Broadway show Movin’ Out opened for a limited eight-week run. 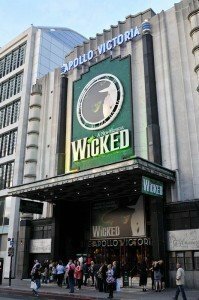 Further restoration work has continued until Wicked, The Untold Story of The Witches of Oz opened in September 2006 and is still performing to thrilled packed houses. Now seen in the theatre, are the brilliant emerald green coloured iron railings. The black and silver-channeled foyer walls have been restored to their former state and the ceiling is back to its dazzling silver ornate prisms.